Editor's note: OneEurope author Rob Heslop concludes his series on the student societies at King's College London (KCL) with an interview with Irina Dihanova, President of the KCL Politics Society, who is entering her final year reading international relations. You can read Rob's previous articles about the KCL European Society here and the European Studies King's Association here. Read Rob's article below to see why you should be joining KCL Politics Society or get inspired to join or set up a politics society at your university! During my discussion with Irina it quickly became clear that the KCL Politics Society had clearly defined goals. These goals are the desire to create an open, tolerant space where students engage in a rational debate about political affairs. It is through this that the society hopes to enable students to see other perspectives on a particular issue and thus, to reconsider their initial perceptions. Such an aim should be applauded; it is imperative that the student's critical thinking skills are improved. Yes, you are attending university to gain a degree. But you are also at university to gain life skills. The KCL Politics Society seeks to arm students with the life skills of critical thinking, openness and awareness of other views that are so important in a time where society is becoming increasingly narrow minded. Whilst these lofty goals are all very noble, how are they turned into reality? The KCL Politics society has four types of events, which ensure that the KCL students become more aware of political affairs, improve their critical thinking skills and become enthused about politics. The first of these is the classic debating event, where the society decides upon a topic and invites speakers who are experts in their fields to offer their opinion. This is then followed up by a question and answer session, where those attending the debate can put across their points of view to the speakers. Having personally been to these events, I can assure you they very well organised, professional and the speakers really bring the topic under discussion to life. Similar to the debate are the discussion events; but this is a much more informal affair - similar to a seminar where the students engage with the speaker in the hope of getting to the core of the topic being discussed. The success of the discussion events has led to the creation of the Forum events, which are the most lively and informal events. The Politics Society has managed to attract top quality speakers such as Baroness Ludford (Liberal Democrat Peer), who was able to motivate the students and give them the tools to challenge their initial perceptions. Irina said that a particular highlight were the five mock general election debates the society hosted. Students from five societies represented their affiliated party and tried to persuade those attending the debate to 'vote' for them. Whilst it is almost inevitable the 'results' in these debates did not reflect the mood of the country. This mock election proves that the society is providing students with both a platform to practice their oratory skills and the opportunity to listen to their fellow student's views on issues of national importance. So, it is clear to see the society is providing the students with the events that will improve their critical thinking skills, raise awareness of political affairs and increase interest in politics. But the Society is doing even more to help students. Nowhere is this clearer than the career events the society organises. For these, the society invites many companies, charities and think tanks that fall under the broadest possible spectrum of 'politics'. Doing this ensures that the interests of all students attending are catered for. The society should be congratulated for achieving this, and if a committee member of any society is reading this I would recommend organising this type of event. It is a great way of serving the students and increasing the brand awareness of the society. But for me, what makes this society so special is its political journal that is published quarterly. This journal, which is led by the committee members, offers a platform for students to write an article about an issue that is important to them. The journal is the culmination of all the engaging events the society has organised and the mantra of raising awareness on political issues. For those students who contribute to the journal, they can take pride knowing that their work has been published in a well acclaimed journal that people who devise policy could read. Once again, the point must be stressed in such a competitive job market, that this is a clear example of the society giving KCL students the opportunity to get ahead of the pack and secure that dream job. Having listed all these achievements you might think this is one of the oldest societies in the university. You are mistaken. It is only four years old, and the fact it has already done so much to help the KCL students is testament to the hard work and dedication of the committee members past and present. With Irina at the helm, supported by her committee I have every confidence that this society will achieve higher and higher goals. So, if you are a soon to be KCL student looking for a welcoming and fun society where you can talk about political affairs and have your views challenged this is the perfect place to be. 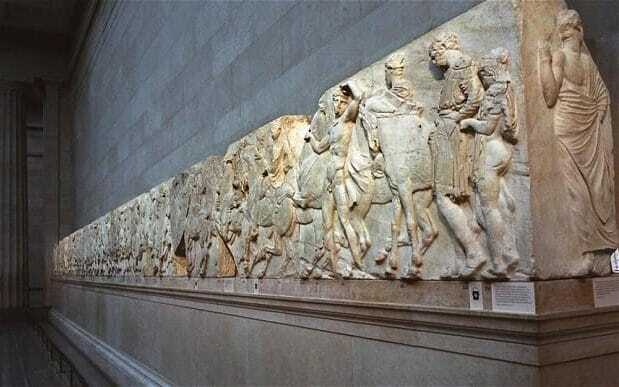 The Elgin Marbles also known as the Parthenon Marbles, are a collection of Classical Greek art made under the supervision of the architect and sculptor Phidias and his assistants. A conversation with Prof. Giulio Sapelli, a Professor of Economic History at University of Milan and former member of the Board of ENI Spa, one of the leading oil and gas groups in the world. James Taylor Pro-EU blogger, analyzing the potential of a federalist Europe and fighting against the dangerous path. Anna Szlavi Anna was born and raised in Budapest, Hungary, and she has also lived in Italy and Slovenia. With an MA in American Studies and Italian Studies, she is writing her doctoral dissertation on gender and visual linguistics - analyzing media representations.